The National Students Union of India(NSUI), the student wing of the Indian National Congress(INC) got a rude shock when it discovered that its presidential candidate for DUSU Elections, Rocky Tuseed was missing from the final list of candidates released by the Cheif Election Office(CEO) office. 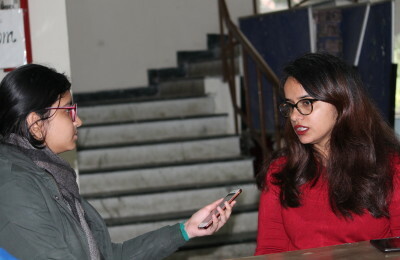 Rocky Tuseed’s name was missing from the list released by CEO’s office which comprised of six other presidential candidates including Rajat Choudhary of ABVP and Parul Chauhan of AISA. The cancellation of nomination was on the grounds of “disciplinary actions” based on an incident that happened during Tuseed’s time at Shivaji College. Mr Tuseed showed a copy of his character certificate issued to him by his college to DU beat. The principal of Shivaji college, however, denied that they had issued a good conduct certificate to him, while also refusing to comment on the actual details of the incident. Mr Tuseed alleges ABVP for pressurizing the authorities for cancellation of his candidature. He informed that a case has been filed in this regard and he will be going on a hunger strike until justice is delivered. Meanwhile, the party has convinced an independent candidate, Alka of Shaheed Bhagat Singh College (evening), to contest on their behalf. DUSU Polls are scheduled for September 12.